Regenerative Medicine Today welcomes Thomas Rando, PhD. Dr. Rando is the deputy director of the Stanford Center on Longevity at Stanford University and a professor with the Department of Neurology and Neurological Sciences, Stanford University School of Medicine. Dr. Rando discusses his research in muscle stem cell biology as well as his role in the upcoming Regenerative Rehabilitation Symposium in Pittsburgh. For more information about Dr.Rando, click here. 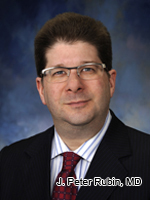 Regenerative Medicine Today welcomes J. Peter Rubin, MD. Dr. Rubin is the Chief of the Division of Plastic and Reconstructive Surgery and Associate Professor at the University of Pittsburgh. Dr. Rubin discusses his upcoming clinical trials in facial and breast reconstruction. For more information about Dr. Rubin, click here. For more information about Dr. Rubin’s clinical trials, click here. Regenerative Medicine Today welcomes Dr. Joanna Wysocka. 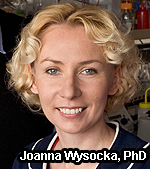 Dr. Wysocka is Assistant Professor in both the Departments of Chemical and Systems Biology and of Developmental Biology at Stanford School of Medicine. Dr. Wysocka discusses her research in identifying the molecular cause of the human disorder CHARGE, as well as the epigenetic basis of development and differentiation. For more information about Dr. Wysocka, please click here. 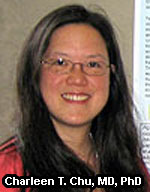 Regenerative Medicine Today welcomes Dr. Charleen Chu. 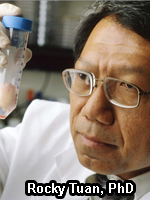 Dr. Chu is Professor of Pathology, Division of Neuropathology, University of Pittsburgh School of Medicine. Dr. Chu discusses her research in Parkinson’s Disease and other neurodegenerative diseases. For more information about Dr. Chu, please click here. 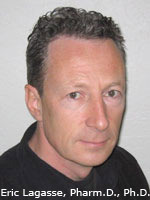 Regenerative Medicine Today welcomes Johnny Huard, PhD. Dr. Huard is the Henry J. Mankin Endowed Chair in Orthopaedic Surgery Research, the director of the Stem Cell Research Center, and the deputy director for cellular therapy at the McGowan Institute for Regenerative Medicine. Dr. Huard discusses adult stem cell research and the potential it has to provide future treatments for damaged or diseased tissues. He also reviews his research that is now matured to the point that clinical studies are underway. Regenerative Medicine Today welcomes Burhan Gharaibeh, PhD. Dr. Gharaibeh is a Research Assistant Professor at the Stem Cell Research Center in the Department of Orthopaedic Surgery, University of Pittsburgh. Dr. Gharaibeh discusses muscle derived stem cells and how to use these stem cells to regenerate and repair injured skeletal muscles. For more information about Dr. Gharaibeh, please click here. Regenerative Medicine Today welcomes Ellen Gawalt, PhD. Dr. Gawalt is an Assistant Professor in the Department of Chemistry and Biochemistry at Duquesne University. She is also the Chair of the Graduate Admissions and Recruitment and a member of the NSF-REU Advisory Board. Dr. Gawalt discusses her research in controlling interfacial regions through chemical modifications by using biomaterials and biofouling. 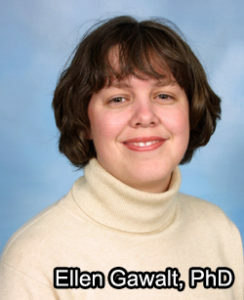 For more information about Dr. Ellen Gawalt, please click here. 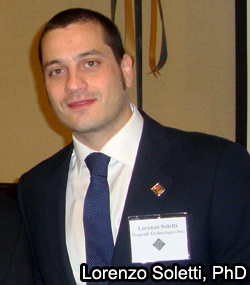 Regenerative Medicine Today welcomes Lorenzo Soletti, PhD. Dr. Soletti is the Director of Technology Development at Neograft Technologies, Inc. Dr. Soletti discusses technologies currently used in treating cardiovascular disease as well as a new technology called Angioshield that he and his colleagues at Neograft Technologies are developing. For more information about Neograft Technologies, Inc., please click here. Regenerative Medicine Today welcomes Kerem Pekkan, PhD, who is an Assistant Professor, Biomedical Engineering at Carnegie Mellon University. 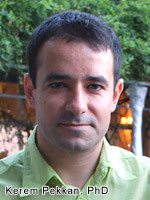 Professor Pekkan’s research interests include biomedical and bio-fluid dynamics, cardiovascular flows and circulation. His research also utilizes bioreactors and in vitro cell and tissue culture systems. 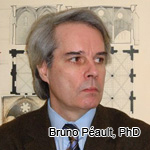 He uses experimental and computational fluid mechanics in complex anatomical morphologies combined with image modalities and acquisition to address important clinical issues that are in the area of fluid mechanics related to congenital heart diseases. For more information about Dr. Pekkan and his lab, please click here. 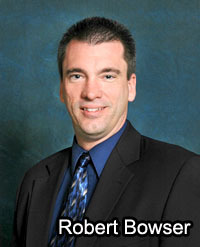 Regenerative Medicine Today welcomes Robert Bowser, PhD. Dr. Bowser is the Director of the ALS Research for the Pittsburgh Institute for Neurodegenerative Diseases and at the Center for ALS Research at the University of Pittsburgh. He is also the Director of the ALS Tissue Bank, where he helps to create the largest such tissue repository in the country. Dr. Bowser discusses the state of neurodegenerative diseases, such as ALS and Alzheimer’s, as well as the unique challenges they present to researchers. For more information about the Dr. Robert Bowser, please click here. For more information about the Center for ALS Research, please click here.